Our school responds to the growing need for education and services for 1 in 68 children, diagnosed with autism. 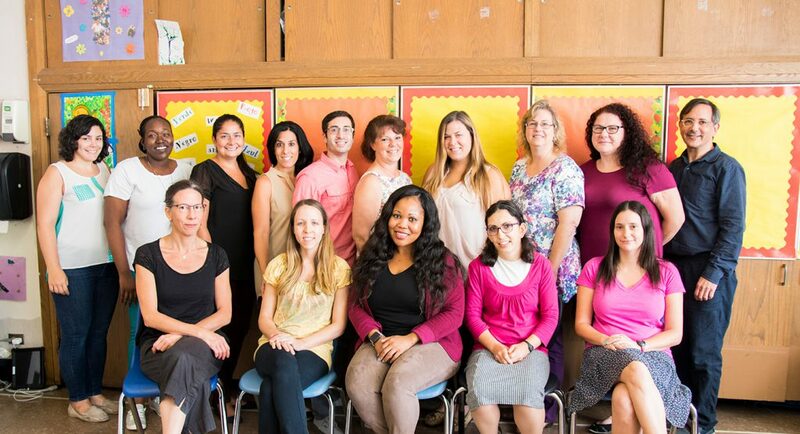 The school team of teachers, counselors and therapists are certified experts in teaching and nurturing children with special needs. Opened in 2007, The HeartShare School utilizes various teaching methodologies to maximize the learning potential of each student. Both Applied Behavior Analysis (ABA), with 1:1 discrete trial instruction, and the TEACCH approach are used within a self-contained, structured classroom setting. The HeartShare School utilizes the New York City Common Core Curriculum and academic goals are modified to meet each child’s individual needs. The school’s annual science fair and career day are among the many activities that enrich the academic curriculum. The HeartShare School classrooms have computers, SMART Boards, and iPads with specialized learning apps appropriate to each student’s academic and development level. The HeartShare School also offers speech, occupational and physical therapies as needed. Art and music classes are held three times per week. Individual music and art sessions are available based on student interest. The student choir, which performs at the school’s annual talent show and other events, is therapeutic and encourages self-expression. Believing that fitness and recreation are an important part of each child’s day, students attend physical education class daily. The HeartShare School adapts physical education indoors and outdoors. The school has equipment customized to needs of its students. The school’s outdoor accessible playground has swings, a basketball court, as well as space accommodating organized sports, including tennis, soccer and badminton. The HeartShare School maintains an open door policy and encourages the active participation of parents in team meetings regarding their child’s education plan, parenting groups and workshops, as well as holiday celebrations and special occasions. The HeartShare School, legally known as The HeartShare Education Center, is funded and audited by the New York State and New York City Education Departments. The HeartShare School is an affiliate of HeartShare Human Services, which means that it renders HeartShare for administrative services, such as payroll or human resources. View the 990 Form for The HeartShare Education Center.